This Can Picafor Map shows popular Attractions, places of Tourist interest &Transport locations Click the name in the right column below to highlight the location on the map. At the centre of the bay of Alcudia on Majorca's northeast coast, C’an Picafort is situated on a marvelous stretch of golden sand, ideal for relaxing. However, if you prefer a more secluded setting, there are many coves fringing the craggy cliffs at Cabo Formentor, further along the northern coast. Originally a small fishing village, the working harbour is still a focal point of the town, and the old part of the town is located around it. 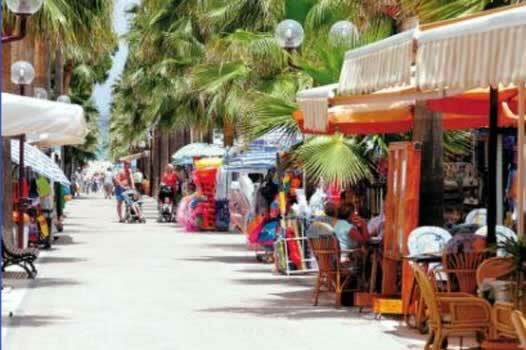 C’an Picafort has a range restaurants, bars, shops and nautical day trips on offer. This old fishing village has been transferred into a higher class resort that is more in tune to a relaxing meal in a waterfront restaurant with dramatic sea views than the lively atmosphere of the partying resorts. Take a trip to the interesting old towns of Alcudia and Arta, or visit one of the monasteries in the surrounding mountains. The Can Picafort seafront is interestingly diversified - From North to South you have a very long beach ending with the Can Picafort beach, then the harbour / marina followed by a rocky sea frontage for just over a kilometre then the Son Balou beach which marks the southern end of the resort. Beyond this is a beautiful walking area either along the seafront with rock and small coves, some with small beaches, or inland through the tree covered sand dunes of the reserve park. 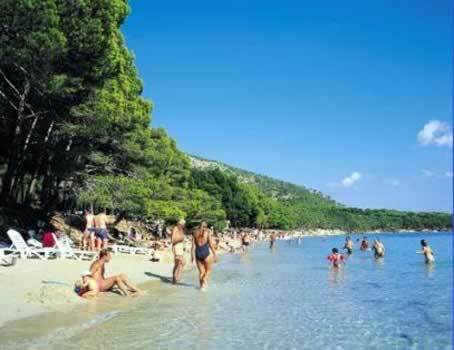 Whilst the smaller sandy beach of Son Baulo beach offers stunning views across the bay has a similar set of facilities minus the boat trips. 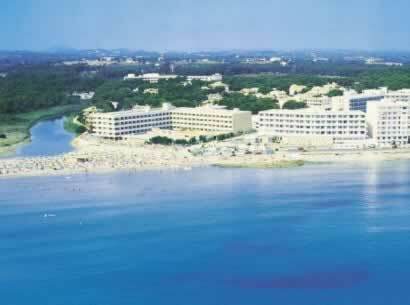 Son Baulo Beach & the supreme location of the L shaped Son Baulo hotel. 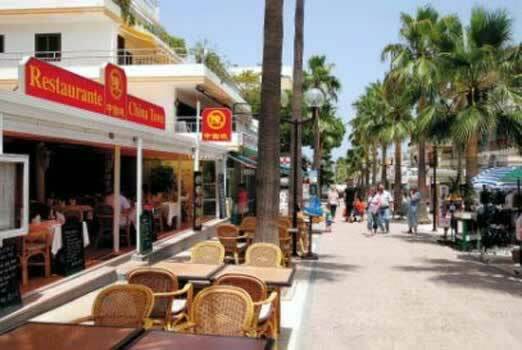 The main street in Can Picafort is Paseo ColÃ³n and this is where you will find a concentration of shops. Paseo ColÃ³n or Carrer de Passeig Colon on our map is located 1 street inland from the harbour and running parallel to the sea front in a north west direction. There is also a new promenade with a variety of shops, and you can browse round the Friday morning street market if you are looking for that extra special gift! The resort's nightlife revolves around a few bars and 2 nightclub discos, creating a low key atmosphere in keeping with this restful resort. 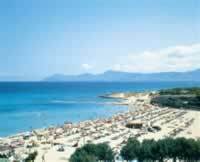 Anyone looking for something livelier and noisier need only hop on a bus or in a taxi to Alcudia along the coast. Porto Pollensa and its yachts, beach, waterfront cafes and restaurants is just along the coast as is the old Roman town of Pollensa. In August, exclusive recitals are performed here, often with the Spanish Queen Sofia amongst the rapt audience. 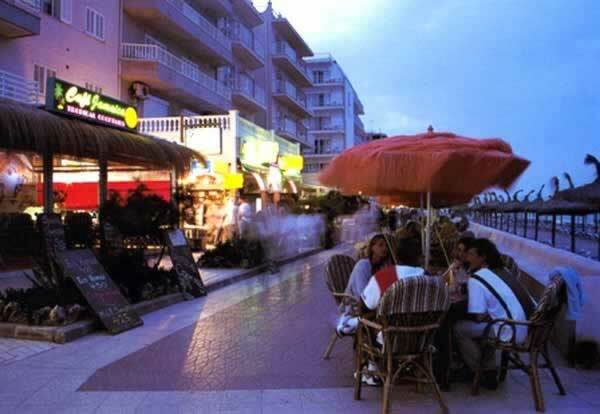 Can Picafort has a variety of bars and restaurants, all with a friendly atmosphere. The majority of these are to be found behind the two beaches and liberally lining the promenade running from the marina and fishing harbour to the Son Baulo area. The largest karting track in Mallorca is located on the outskirts of Can Picafort. The karting track has a panoramic terrace and bar. The parish church is located in the village of Santa Margalida and dates to the 16th century. 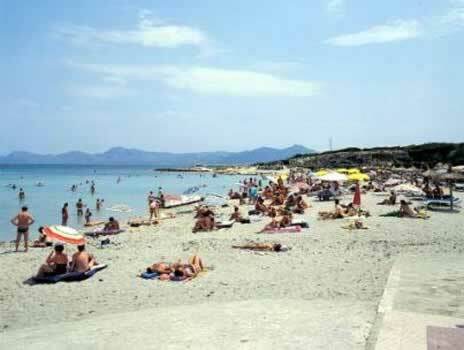 Playa de Muro 2 Km. 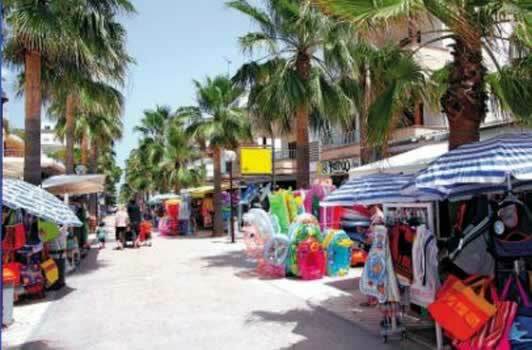 Puerto de Alcudia 11 Km. Puerto de PollenÃ§a 22 Km.